Work-ready graduates managing productive farming systems. The Agricultural and Production Management is a unique course which combines vocational and university units to equip you with practical skills in agricultural production and management. You will learn cutting edge techniques at our innovative SMART Farms including our production feedlot at Tullimba. Students complete vocational Diploma and Advanced Diploma units alongside UNE units to gain the Bachelor of Agriculture Production and Management. to have completed 4 units from a Diploma of Agriculture; Production Horticulture; Holistic Management; or Crop Agronomy. Please see Program of Study for further details. Students who commence their studies via this pathway hold an approved Diploma of Agriculture; Production Horticulture; Holistic Management; or Crop Agronomy. Students will be able to progress directly to the Bachelor of Agricultural Production and Management units via this pathway. Students who commence their studies via this pathway hold an approved Diploma of Agriculture; Production Horticulture; Holistic Management; or Crop Agronomy. In addition, students hold an approved Advanced Diploma of Agriculture or Agribusiness Management. 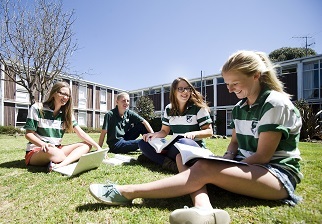 Students who commence their studies via this pathway hold an approved Diploma of Agriculture.